Add a drop or two of dish soap in a bucket of warm water and use a cloth covered strip applicator to remove dirt. Next: squeegee the soapy film off in a reverse “S” shape working from the top left of the windowpane. Wipe excess moisture off each time with a cloth. Wipe down outer edges with a chamois or soft cloth. 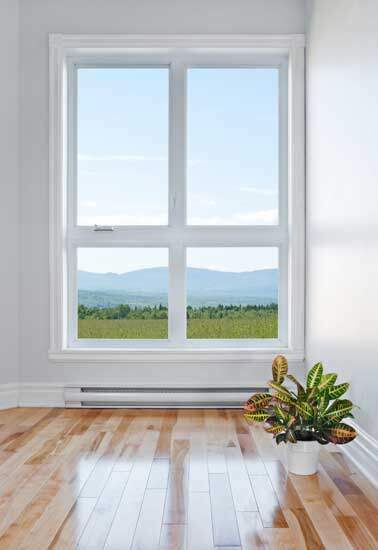 Use a rag to dry off excess water from the windowsills.